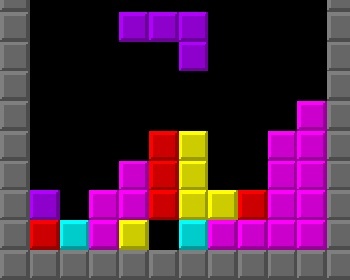 Tetris creator Alexey Pajitnov says he's been working on a multiplayer version of his masterpiece for more than ten years, but he still hasn't quite figured out how to make it work. Tetris, at first glance, looks like the kind of game you could design before lunch and program over a weekend: Assemble blocks to make lines, repeat ad nauseum. There's a bit more to it than that, obviously; just ask Alexey Pajitnov, the former Soviet engineer who created the game in 1985 and has spent the last decade trying to come up with a solid multiplayer angle. "We are working on multiplayer versions for more than ten years - I've been trying to design it. I should admit that we are not quite there yet," Pajitnov told Gamasutra. "It was quite a problem with Tetris that... the game is very intense, you know? If you play on the high level - and that's where you want to play usually," he explained. "So, you play on the edge of your abilities, in terms of the speed and reaction, and everything. So, you kind of have no brain resources to observe what the other people are doing." "That's the kind of measured theoretical problem which we need to resolve with multiplayer Tetris," he continued. "So, if we lower the intensity of personal game playing, we, a little bit, lower the excitement of the game. But if we keep it at the same level, the players don't have resources to really do some kind of multiplayer actions, to observe, to analyze what's going on in the big picture, and adjust their strategy." Pajitnov said the multiplayer Tetris as it currently stands is "pretty good," but doesn't quite live up to his ideal vision. "My dream would be the game, when you could really see what the other people do and take their gameplay and their achievement and their status in the game really in account," he said. "That's what the main joy of a multiplayer game is, in my opinion." I guess maybe it's not all that easy after all. I've been wracking my brain for at least a minute or two trying to think up some kind of decent multiplayer approach to Tetris and all I've got so far is different ways to tell people you whomped their high score. Any better ideas floating around out there?